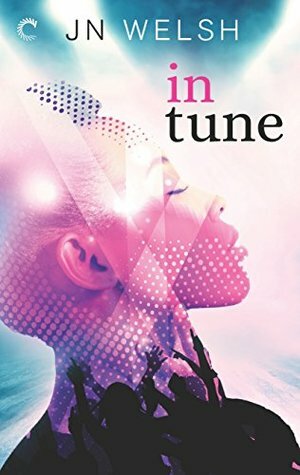 In Tune totally enraptured this reader with its romance that seared every single page, the music that felt like a beat in my blood--and the writing that kept me engaged enough to almost miss my train stop twice--on two different occasions. I'm not much of a music novel fan. They tend to lack the pizazz needed to really pull it off. It's often so heavy laden with lackluster romance, clinging to the normal new adult ideals, and music that does little to pull me in. In Tune was NONE of that. It was well written. The pacing was torturingly sweet--and so perfectly timed. The only times I found myself rushing it along--was in my own greedy impatience. The characters practically leaped off the page and grabbed me in a chokehold until they were done with me. Luke is this dream music GOD--and as someone who is not much of a house music fan, I'd pay dollars to see him perform if he were real. His love of music--his lofty goals, his oversized heart--all made him a character I easily fell in love with. Leona was no different. I admired her hard work, dedication and the sass she brought to the novel. I admired her fight--and the dedication she had to her craft. Passion always makes me a happy reader--even in the many forms, it comes in. This novel is absolutely outstanding, in romance, in content, in writing style--and in overall goodness. I'm impressed and aching for more.